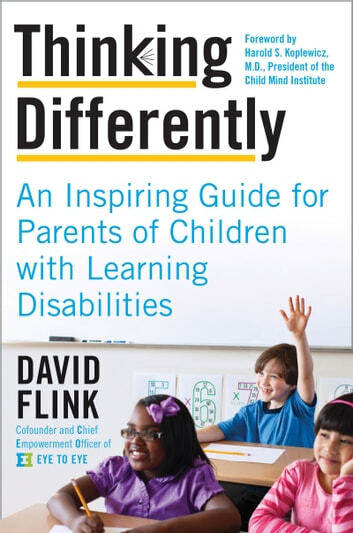 An innovative, comprehensive guide—the first of its kind—to help parents understand and accept learning disabilities in their children, offering tips and strategies for successfully advocating on their behalf and helping them become their own best advocates. In Thinking Differently, David Flink, the leader of Eye to Eye—a national mentoring program for students with learning and attention issues—enlarges our understanding of the learning process and offers powerful, innovative strategies for parenting, teaching, and supporting the 20 percent of students with learning disabilities. An outstanding fighter who has helped thousands of children adapt to their specific learning issues, Flink understands the needs and experiences of these children first hand. He, too, has dyslexia and ADHD. 8 Minutes a Day to Make an A!